"Recommended water column concentrations to achieve the required intergravel dissolved oxygen concentrations shown in parentheses. The figures in parentheses apply to species that have early life stages exposed directly to the water column. Tncludes all embryonic and larval stages and all juvenile forms to 30 days following hatching. cNA = not applicable. dAll minima should be considered instantaneous concentrations to be achieved at all times. Further restrictions apply for highly manipulative discharges. • Developing before- and after-CWA data sets of DO summary statistics derived from monitoring stations that were screened for worst-case conditions (i.e., conditions that inherently contain the sharpest signal). • Assigning the worst-case DO summary statistic to each station for each before-and after-CWA time period and then aggregating station data at sequentially larger spatial scales. • Conducting a "paired" analysis of spatial units that have both a before- and an after-CWA worst-case DO summary statistic and then documenting the direction (improvement or degradation) and magnitude of the change. • Assessing how the point source discharge/downstream worst-case DO signal changes over progressively larger spatial scales. The hierarchy of spatial scale plays an especially important role in this second leg of the three-legged stool approach for examining water quality conditions before and after the CWA. Three spatial scales are addressed in this portion of the study: reach, catalog unit, and major river basin. 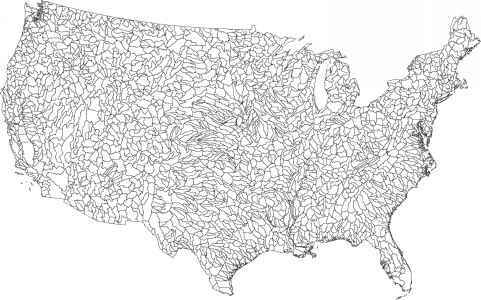 reaches in the 48 contiguous states, covering 632,552 miles of streams. 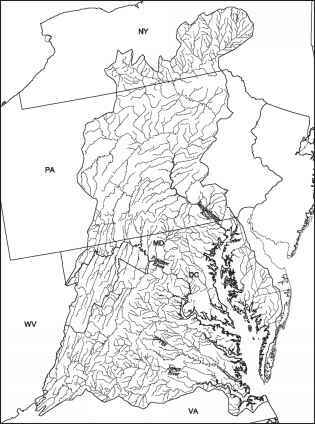 Figure 1-2 is a map of the stream reach network in the Chesapeake Bay drainage area. 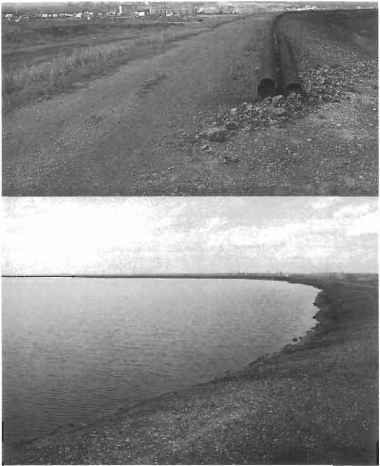 Figure 1-2 Reach File Version 1 stream reach network in the Chesapeake Bay drainage area. two numbers. These are followed by the accounting unit and the cataloging unit, the smallest scale in the hierarchy. Figures 1-3 and 1-4 display the 18 hydrologic regions and the 2,111 cataloging units in the contiguous 48 states. Developers of RF1 extended the eight-digit HUC code by three digits for the purpose of identifying the reaches within the cataloging unit. Table 1-2 is an example of the RF1 identification codes for a reach of the Upper Mississippi River near Hastings, Minnesota. This 33.1-mile reach is defined by the confluence of the Minnesota River (upstream) and the St. Croix River (downstream). Many engineering studies have documented the impact of BOD loading on the DO budget in reaches immediately below municipal outfalls. Consequently, one would expect to find a sharp signal linking point source discharges with worst-case DO in those reaches. The key aspect of this investigation, therefore, was to see how the signal changed (or if it could be detected at all) as one aggregated worst-case DO data at increasingly larger spatial scales and then compared summary statistics associated with time periods before and after the CWA. Detection of a statistically significant signal at the catalog unit and major river basin scales would provide evidence that the CWA mandates to upgrade to secondary treatment and greater levels of wastewater treatment yielded broad, as well as localized, benefits. 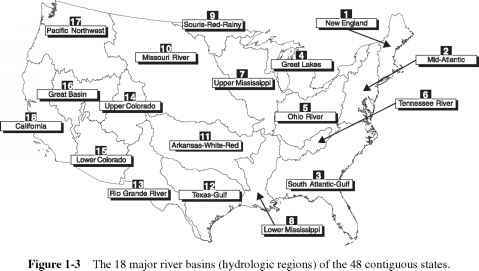 Figure 1-4 The 2,111 hydrologic catalog units of the 48 contiguous states. summary statistics they present are derived from station data that have been selected, aggregated, and spatially assessed so that they might have the best chance of inherently containing a "signal" linking point source discharges with downstream DO.